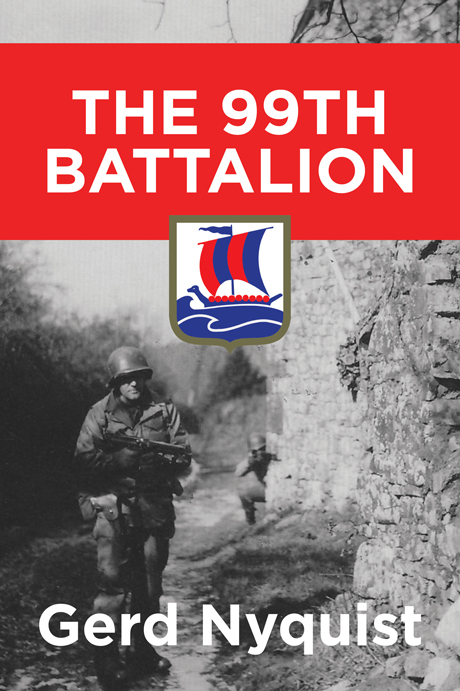 We’re pleased to announce the release of the new expanded edition of The 99th Battalion by Gerd Nyquist. Featuring a detailed history of the elite World War II special forces unit, the book was originally published in Norway. This new, expanded U.S. edition has an updated translation and many new photographs. It’s a great account of a unique military unit told in part by the men who were there. The long way home… The 99th Battalion is a book about a unique group of American soldiers from the Second World War that had one thing in common: they were all of Norwegian descent. In order to volunteer for this battalion the men were required to understand, speak, and write Norwegian. They were a separate battalion, and never knew what difficult tasks would be planned for them, but through the whole war they hoped they would be sent to liberate Norway, their occupied home. They received the harshest commando training ever given for winter conditions, at a camp in Colorado at an altitude of 9,000 feet. They landed in Europe with the American invasion forces and fought in some of the war’s hardest battles. When the 99th finally arrived in Norway, they were chosen to be the honor guard for King Haakon as he returned from exile. They remained in Norway during the first summer of peace, helping to disarm the Germans and send them home. They spent their furlough time traveling in search of their relatives. This book about the 99th Infantry Battalion (Separate) is fascinating reading mostly narrated by the soldiers themselves. It builds on original research and sheds light upon a largely unknown aspect of Norwegian-American history. For more details, please see the book’s info page here. The 99th Battalion is available in hardcover and paperback from Amazon, Barnes & Noble, and other retailers. A special hardcover collector’s edition is forthcoming. If you’d like to learn more about the 99th Infantry Battalion (Separate), please visit the official website here.